Okay! 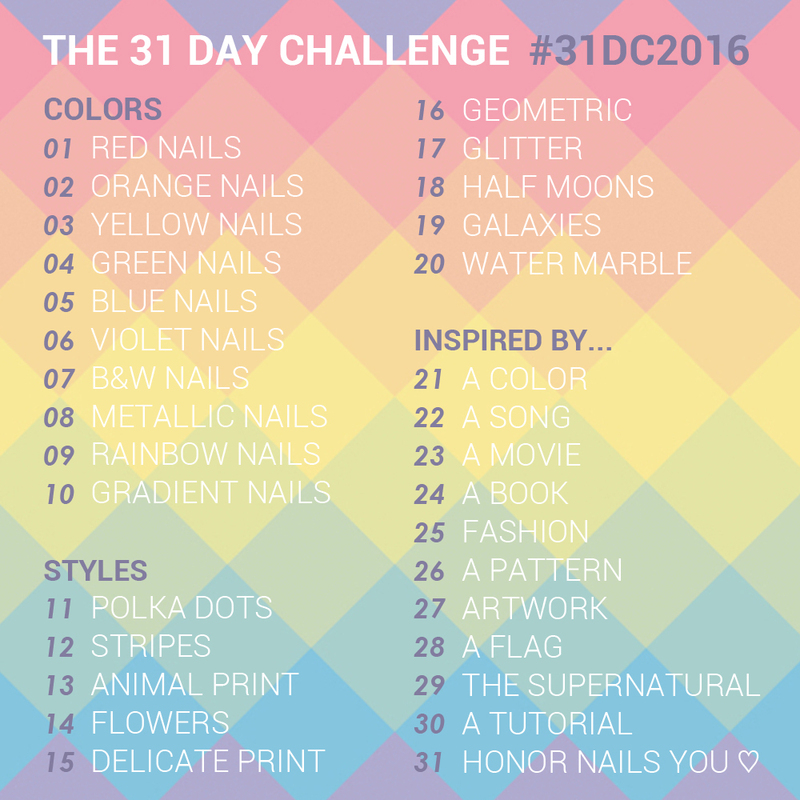 Second fill for today for The 31 Day Challenge! Let's do this! Three down! I know it's turning to fall now, but I want to pretend it's summer for just a little bit longer, 'kay? These nails let me do just that. 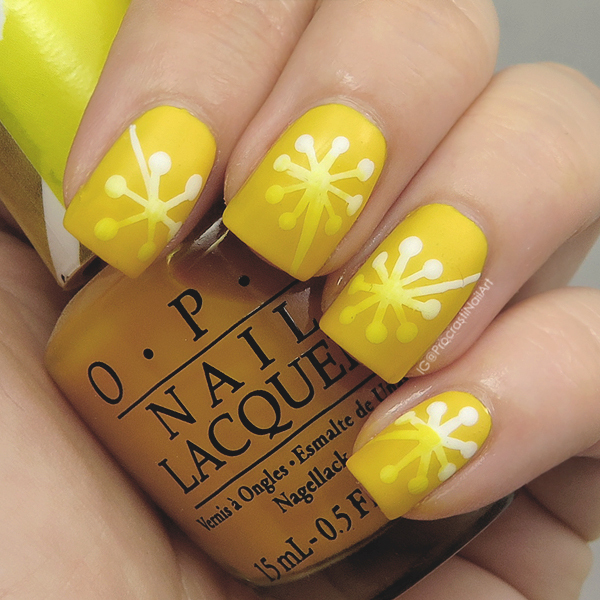 :) The sunny yellow + abstract dotted flower design are perfect for putting a smile on my face and making me imagine a sun in the sky! 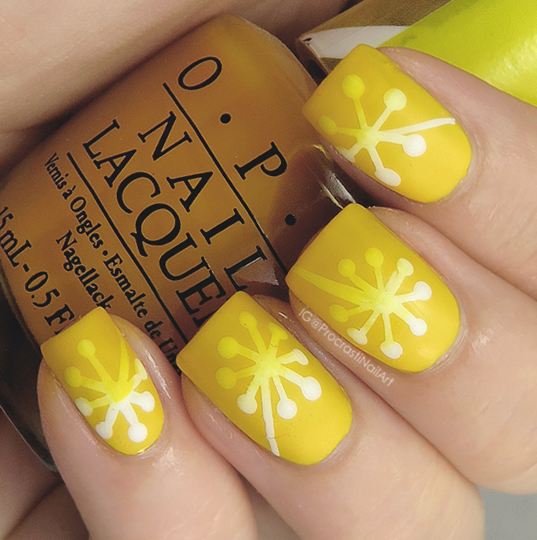 Bright and cheery and the perfect fill for the Yellow theme for the challenge! 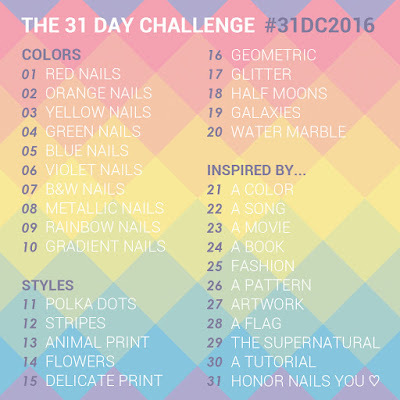 I think this pattern could be a fun one to do a bit smaller too, so you could fit a few flowers on each nail. What do you think? 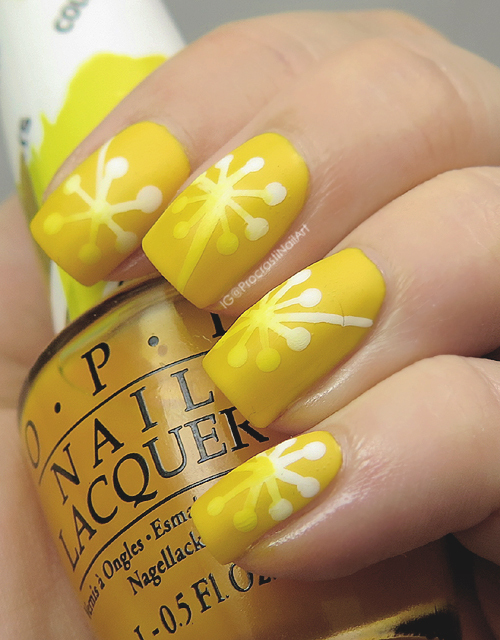 Yellow is such a cheerful color.